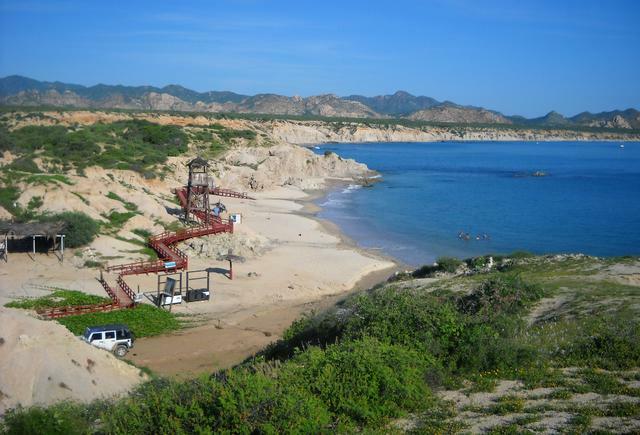 BajaNomad » Baja Questions & Answers » Cape area hiking trails? Author: Subject: Cape area hiking trails? Can anyone recommend easy to challenging hiking trails in the canyons and mountains of the cape region? I've got 10 days off the ship and want to explore some terrestrial habitats between Cabo, San Jose del Cabo, Cabo Pulmo and La Paz. I'll have a rental car so easy access dirt roads are fine. Try the Trailforks app for a few ideas. 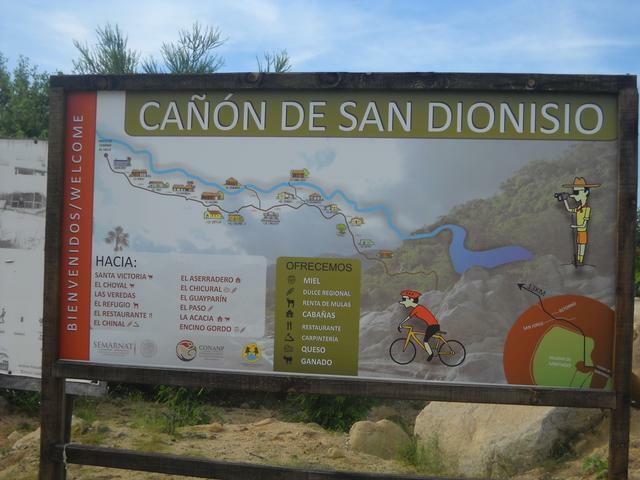 Great hiking / biking trails at Rancho Cacachilas just east of La Paz. If you can get a copy of this book, it will give you lots of ideas for hikes. 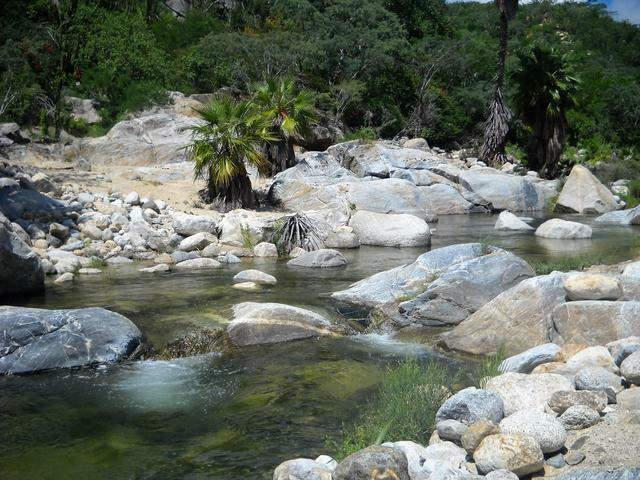 Just NW of Santiago (go through the town), you come to the access roads to Sierra de la Laguna. 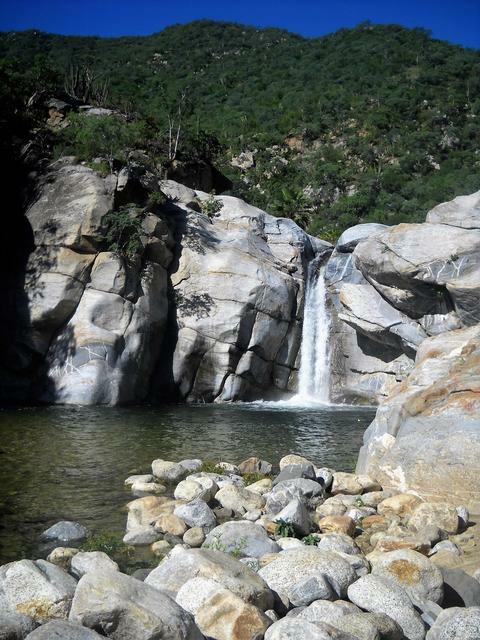 From Sol de Mayo you can hike for miles into the canyons, past the waterfall and stream pools. I crossed the stream pools to find the trail started to ascend going [??] I was only wear a bathing suit and left daypack on the other side of the stream, so I didn�t progress � looked intriguing. 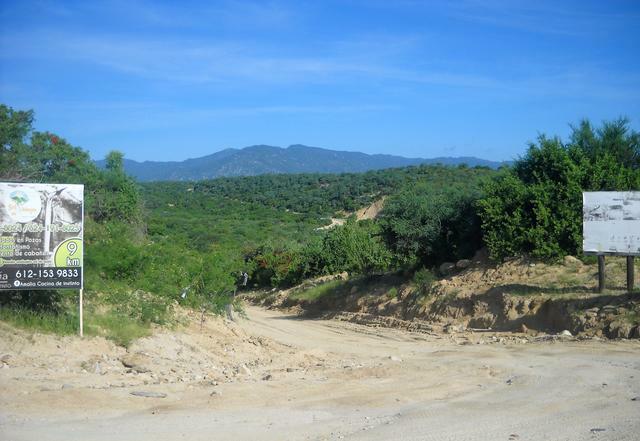 Between San Bartolo and San Antonio there is another access road to the Sierra de la Laguna � sign on the road. You might bring a folding shovel to help out in a dicey area. Also, if you go to Los Arbolitos beach, there is a coastal trail that goes south for miles - pretty flat but goes inland cross-country. There was a large midden area along the coast - probably evidence inland of indios Antigua as well. The bench above the beach in northerly direction looked intriguing too.